Allow to see the contents of a PDF document without opening it in Windows 10 Explorer. When you\'re looking for a PDF file or you just need a bit of information from one, to preview PDF documents in a fast preview window is easier than opening files. 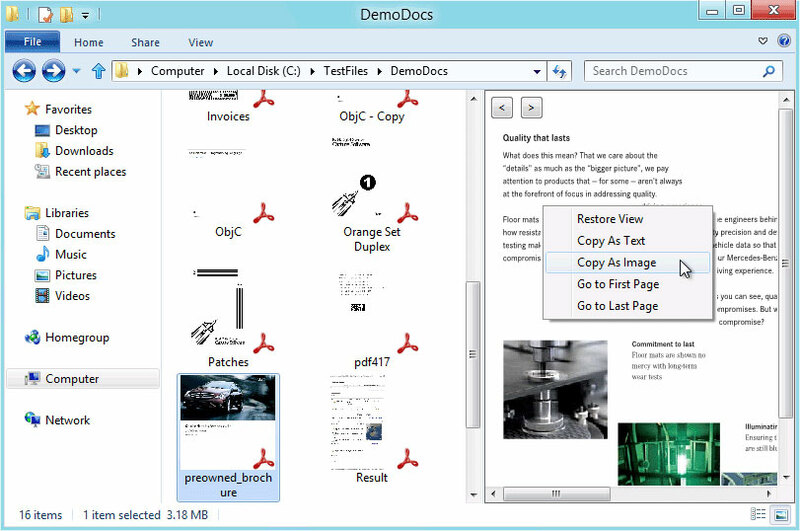 The free PDF previewer enables Windows 10 users to see the contents of a PDF document without opening it. When you\'re looking for a PDF file or you just need a bit of information from one, to preview PDF documents in a fast preview window is easier than opening files. Simply browse and click on any PDF document, and its content is shown in the preview pane of Windows Explorer or Microsoft Outlook. PDF preview in icon level is also available.